I'm a mess in the mornings. I'm rushing to get everyone ready but myself. The only thing I manage to get into my system while I'm dragging my kid to the bus stop is some coffee. But once all the hustle and bustle calm down, I realize I'm hungry. But at the same time, I just want to sit down and gather my thoughts for the day before I start working. Which is why I'm a smoothie girl. I've been using Orgain Protein Powder for the last year or so. My all-time favorite shake is the vanilla protein powder, almond milk, hemp seeds, chia seeds, and a frozen banana. It's simple, I can throw it into my Blendtec and then pop it into my tumbler when I'm running out the door. 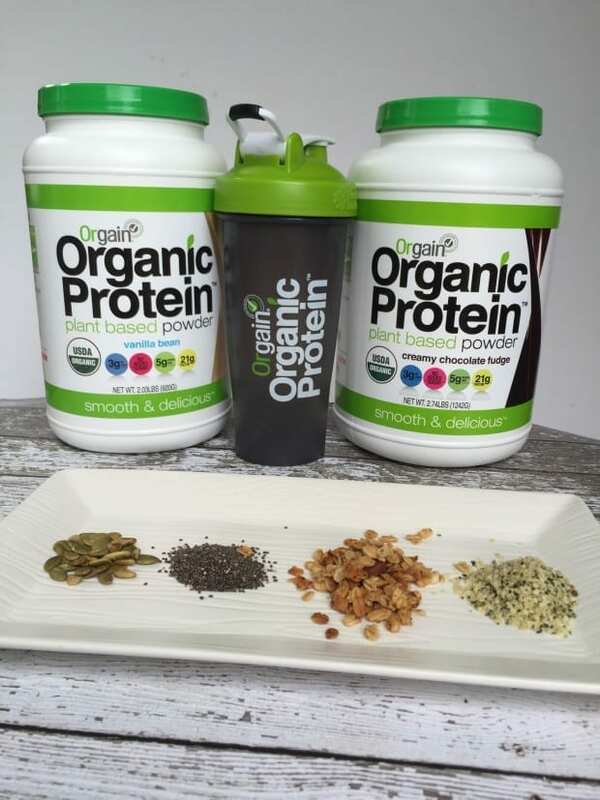 We switched to using Orgain because it's organic plant-based protein made from brown rice, hemp, chia, and pea protein. I've tried other plant-based proteins and I didn't like any of them. 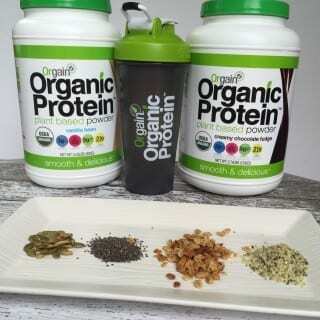 Orgain is smooth and creamy and it blends so well into smoothies. The protein powder comes in vanilla and chocolate. They have a bunch of other products as well, including premade shakes and kids drinks. 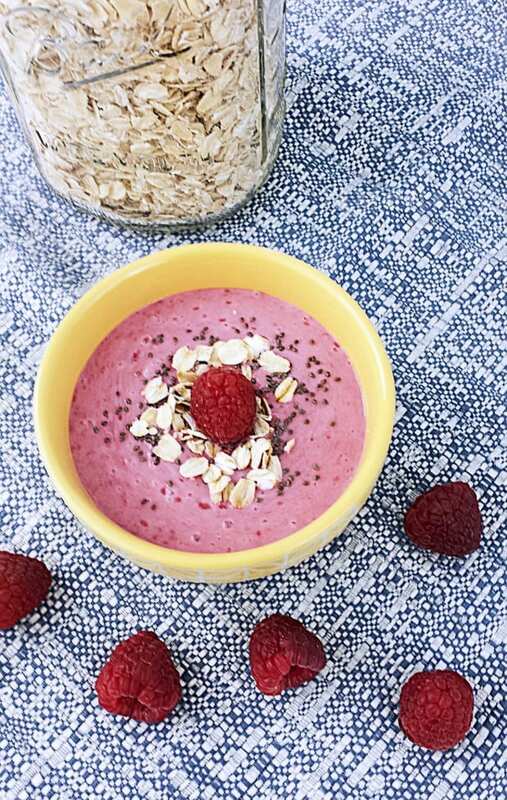 The newest craze to smoothie lovers has been the smoothie bowl. It's like a smoothie, but a little thicker. They are really good. I like to make mine with greek yogurt and lots of add-ins. 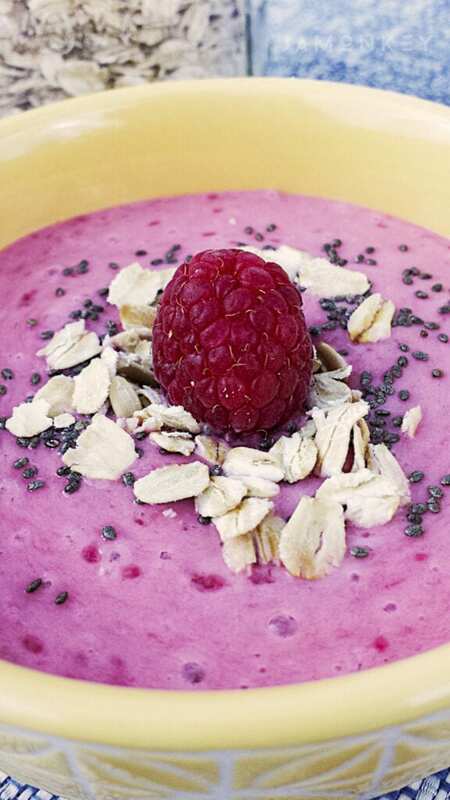 This smoothie bowl is loaded with fresh fruit and protein. I like blending mine with seeds and nuts for added nutrients. This will make it thicker also. If you want, you can add in chia seeds and let it sit overnight to let the chia seeds plump and make more of a pudding. 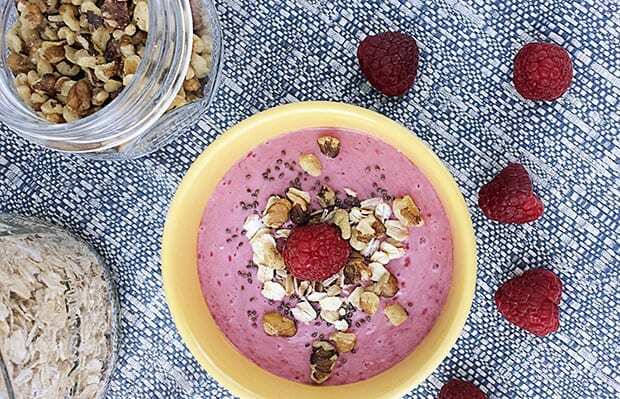 Combine the almond milk, yogurt, , Orgain Protein Powder, strawberries, raspberries, and banana into a blender and process until smooth. 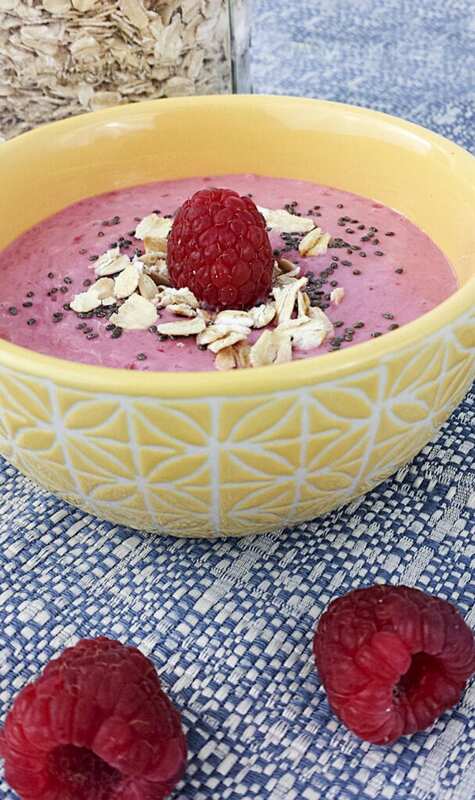 Pour the mixture into a bowl and top with fresh raspberries, oats and chia seeds.